There are some ideas which you wish with all your heart you’d come up with. In the creative industry, ideas are the lifeblood of your work. Generating these little gems is a task that is equal parts joyous and frustrating – when things are flowing it’s the best feeling in the world, but when nothing’s sparking it’s like trying to catch sunlight in a net. And the best ideas are always, always, the simplest. They’re the ones that are so obvious you don’t understand how you didn’t think of it first. We look on them with a mixture of admiration and frustration. One of my favourites is this beautiful piece of copywriting. I mean, just look at it – not a word is wasted. In just seven words it grabs your attention, makes you smile and acts as a call to action. It even manages to squeeze in some alliteration. That’s some heavy-duty work by those words right there. Then there’s the follow-up line. 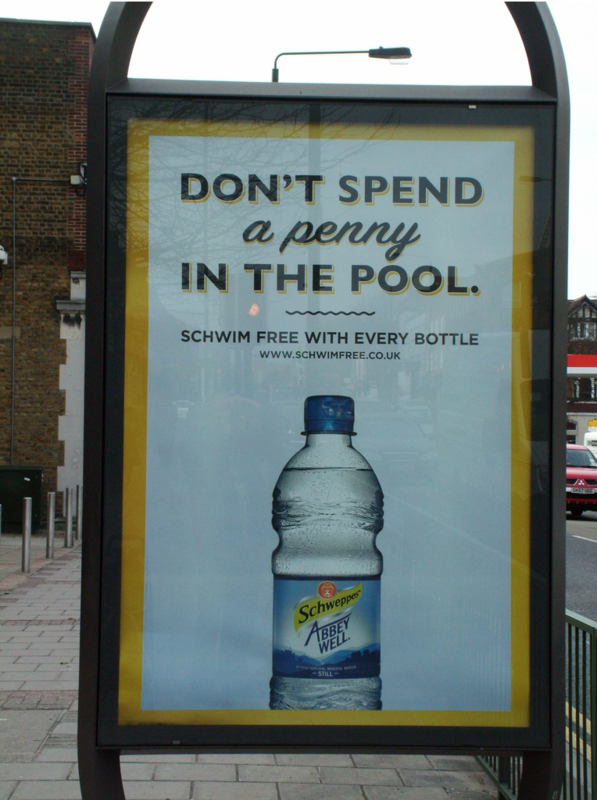 Short and simple, it explains the offer, with a simple little twist on ‘swim’ to emphasise the brand and link back to Schweppes’ previous campaigns from the ‘golden age’ of advertising. I like to think that, just as the ancient sculptor broke his chisel after creating his masterwork because he knew he would never make something as good ever again, the copywriter who worked on this sat back on his chair, sighed contemplatively, and then snapped his pencil in two before retiring to his private island to enjoy the rewards of his work.